It was a very good and productive week around here! On Monday, we started out the day early and cold. I had forgotten to switch the heat back on the regular schedule because of MLK Day the week before. The kids went to school and I got some ad work and Pinterest work done. Then onto the treadmill and took care of recycling. After lunch I was so tired I could barely keep my eyes open! I forced myself to take care of some chores and then laid down for a bit. But construction next door kept me awake. Writing was accomplished in the afternoon. Tuesday, I barely remember except for walking in the morning and writing in the afternoon. Wednesday was our busy day and also the day I wanted to finish writing Daydreamer 5! I got the house prepped for the cleaning ladies and then walked on the treadmill while they were here. I wrote in the afternoon before school was out and again at tennis. 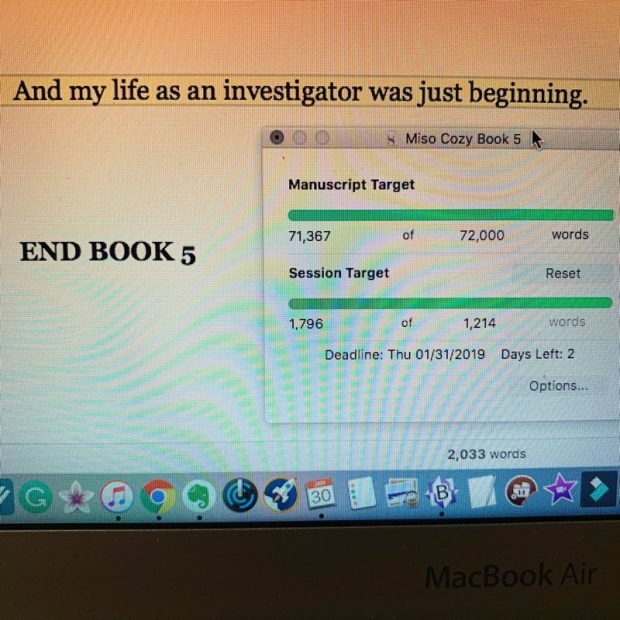 I got takeout for the kids, came home and finished Daydreamer 5! Yay! 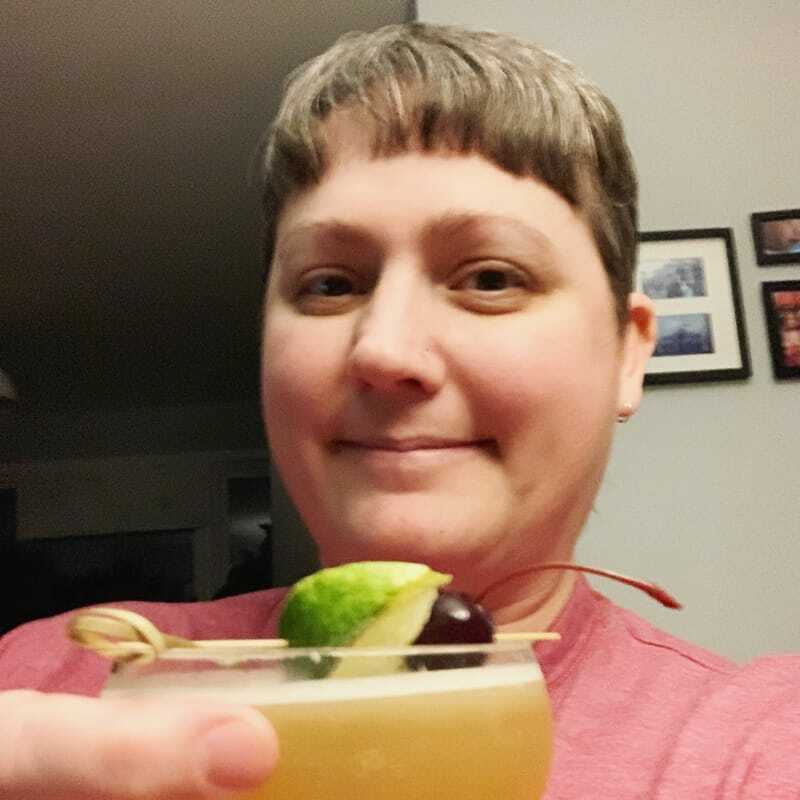 I celebrated with dinner with the husband and a drink! On Thursday, the polar vortex arrived here and the kids had a late start at school because of negative 0°F weather and wind. I got them to school and went straight to pottery. 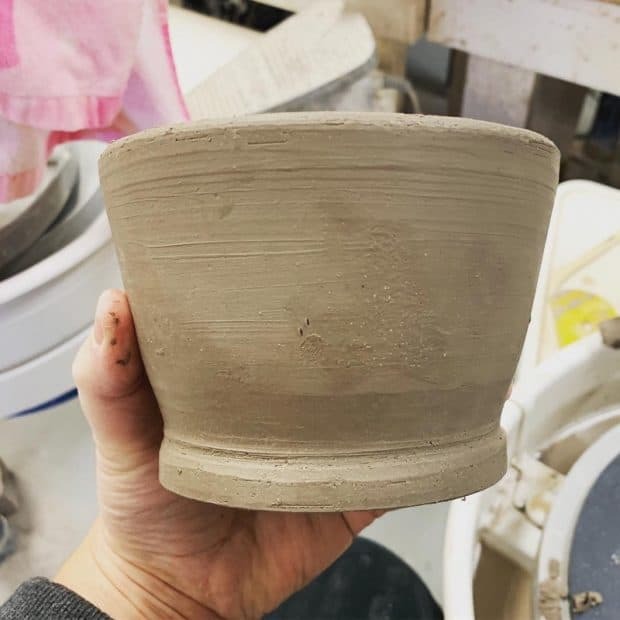 I made some nice bowls this week and trimmed another professional looking bowl. I’m getting better! I wanted to read Thursday afternoon but I ended up consoling one kid who had a bad day and helping the other with her homework. Win some, lose some. Friday was taxes day and I got 98% of it done! The other 2% will be me remembering deductions I totally forgot about over the next few weeks. This year I developed my own spreadsheet which I’m really proud of. 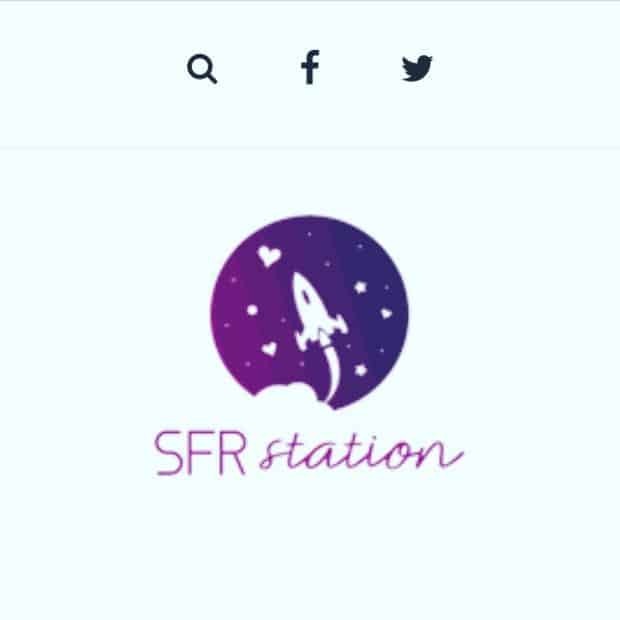 On Saturday, I worked all day on the SFR Station website. (You can check it out but understand that it’s still under construction.) It’s coming along and I think most of the major design stuff will be done soon. Then I’ll be going through all the backend and updating it over the next week. Today, I worked on the SFR Station website all morning, went for a walk OUTSIDE (OMG it was such a nice day! ), and then worked on the website again all afternoon. I think my eyeballs are going to fall out of my head. 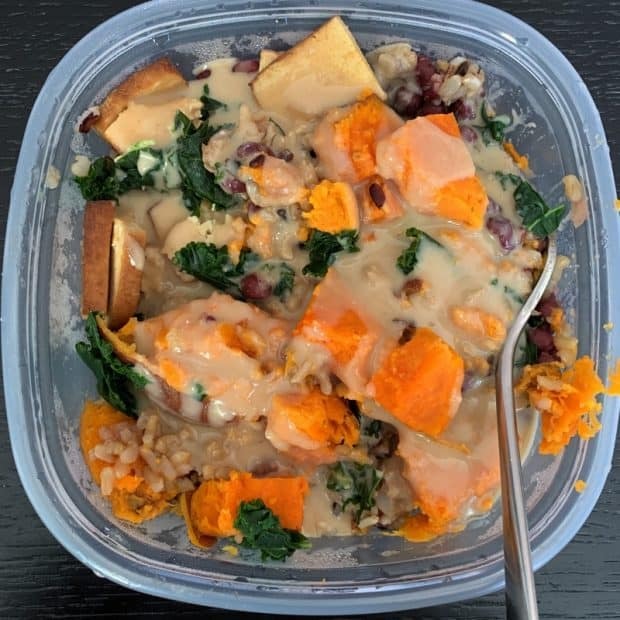 I enjoyed two of my macrobiotic bowls that I made the previous week. Here it is all messy with the miso tahini dressing on it. It was delicious! 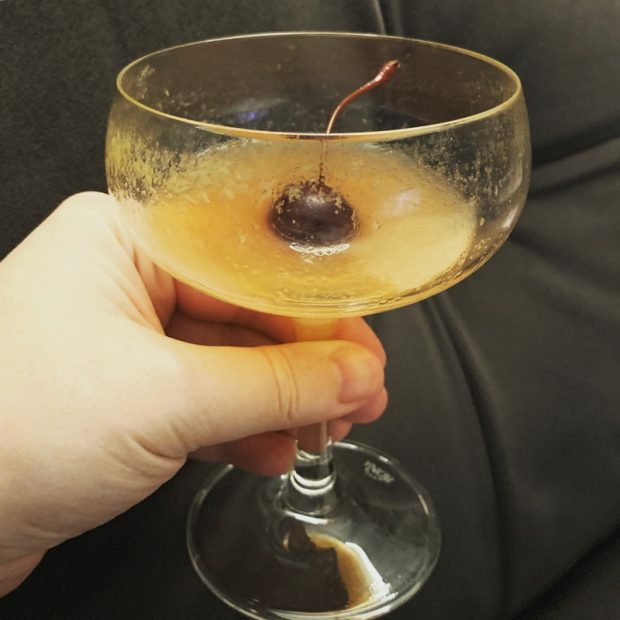 I enjoyed a few drinks this week. A daiquiri on Friday night and another on Wednesday to celebrate finishing Daydreamer 5! 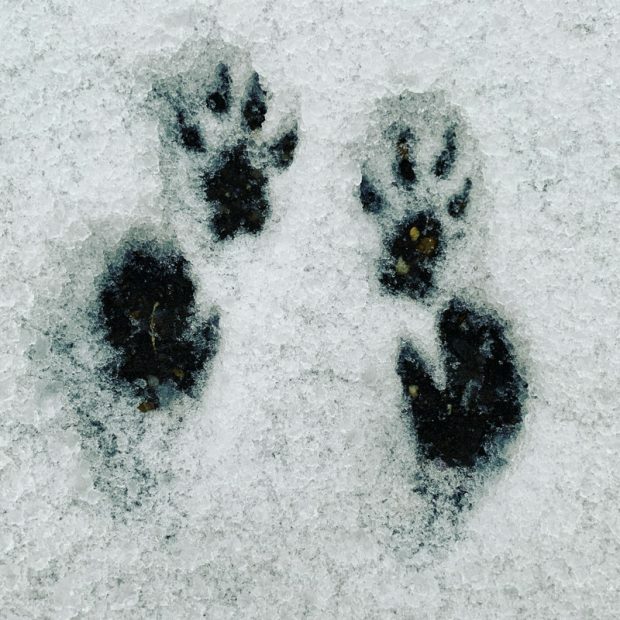 We had some snow and something hopped through the snow in the middle of the day. 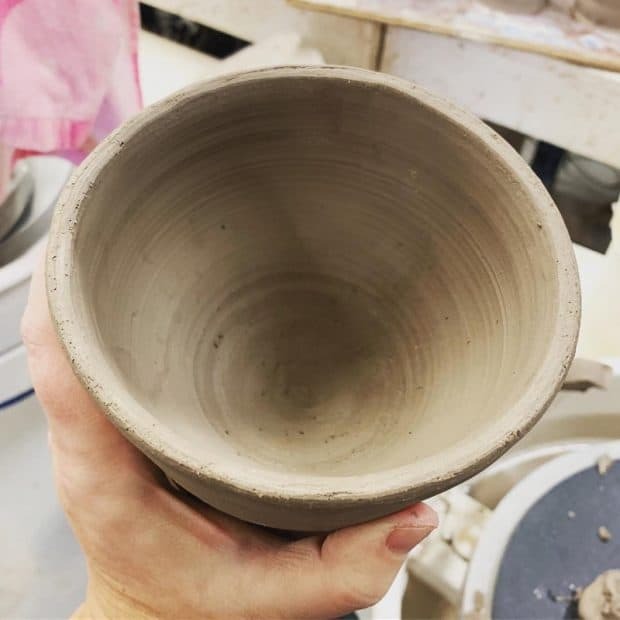 I think I did a pretty good job of trimming this bowl. It has an actual foot on the bottom! Yes, I’m working on the SFR Station website. There’s lots to do besides the redesign, including updating all the content. But I do love this logo Najla Qamber made for me. It’s fabulous! 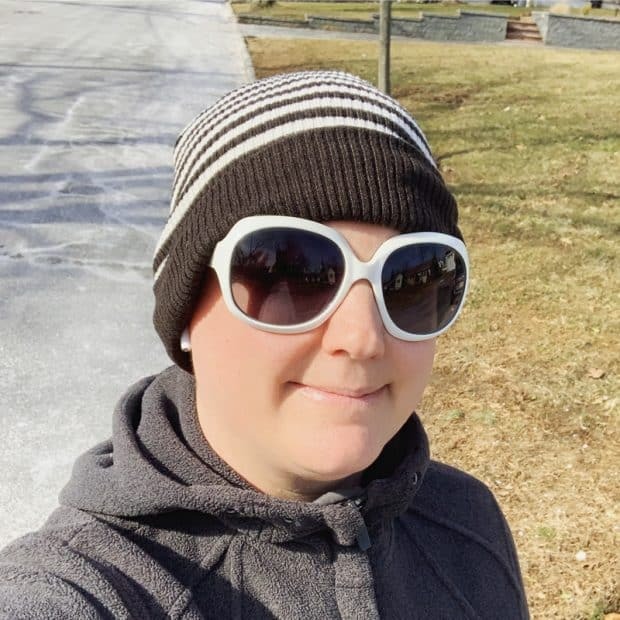 And finally, I really enjoyed my walk outside today! I listened to my audiobook and I was sure to go up and down the stairs 6 times.